You heard right! Drinking water will help with your weight loss. 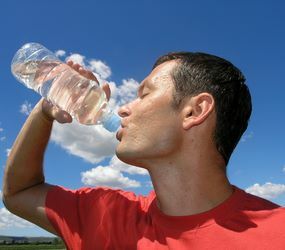 If you are eating right and exercising with your trainer on a regular basis then try drinking more water. Many people don’t drink enough water daily which means their bodies aren’t functioning at optimal capacity. Therefore, their metabolism is not burning as many calories as it could. Some studies have also shown that thirst and hunger sensations are triggered together which means if you are slightly dehydrated, you may very well feel hungry also. When you are feeling hungry, try drinking some water 15 minutes before eating and see what happens to your appetite. So grab your water bottle and fill it up!